A key witness said Monday he won't be a "snitch" against Marion "Suge" Knight in the hit-and-run murder case against the former Death Row Records co-founder. Cle "Bone" Sloan, seriously injured in the January hit-and-run crash at a Compton burger stand, was the first witness Monday during a hearing at which a judge will determine whether there is enough evidence to support murder, attempted murder and hit-and-run charges against Knight. Prosecutors must only show a fraction of their evidence and testimony to convince a judge that Knight should be tried, and the former music mogul does not have to present a defense during Monday's hearing. Knight has been jailed since late January after he struck two men with his pickup truck outside a restaurant after a nearby film shoot. Authorities contend Knight intentionally hit the men, killing Terry Carter, 55, and seriously injuring Sloan. Sloan said Monday that he does not recall the immediate events leading up to the crash and that he does not want to be a "snitch." 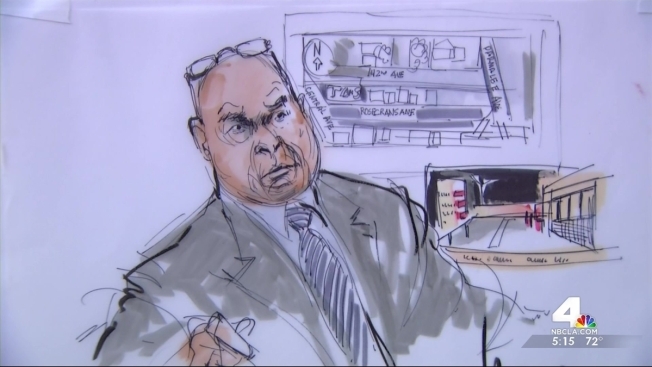 "I will not be used to send Suge Knight to prison," the 50-year-old Sloan said, adding that he was only on the stand because he was subpoenaed. "I'm no snitch and I will not be made to be a snitch." Sloan repeatedly said he didn't recall much of what happened at Tam's Burgers, but attorneys read a transcript of his interview with detectives shortly after he was struck. In that interview, Sloan said he had argued with Knight earlier at a film set and was driving to another location when he saw Knight in a parking lot. Sloan told detectives he jumped out of his car and started punching Knight through window of Knight's truck. Defense attorney Matthew Fletcher questioned whether Sloan had reached into the vehicle and put the vehicle in gear. Sloan said he recalled little about what happened in the parking lot, except that the pickup a "wild" turn as the driver left the scene. "That's where everything goes black," he said. At one point during Sloan's testimony, Los Angeles Superior Court Judge Ronald S. Coen said he believed the witness "is being deceptive." Knight's attorney said Knight, 49, was ambushed and trying to escape an attack when he hit the men. Knight is being held on $25 million bail, an amount his attorney Matt Fletcher has argued is excessive. He faces up to life in prison if convicted of killing Carter. Knight's court hearings have already become dramatic events. He has fired one set of attorneys during one hearing and was transported to the hospital after being brought to the courthouse for four court appearances. He complained last week when deputies brought Knight into court handcuffed to a wheelchair and has detailed health woes including weight loss and blindness in one eye when he's been allowed to speak in court. At the time of his arrest Jan. 30 in connection with the crash a day earlier, he had been free on $500,000 bail in a separate case in which he and comedian Micah "Katt" Williams are charged with robbery for allegedly stealing a camera Sept. 5 from a paparazzo in Beverly Hills. Last week, Knight told a judge during a hearing that he fired his attorney in that case.